Vivienne Westwood V Neck Colour Black Knit Red Blue S25HA0389. 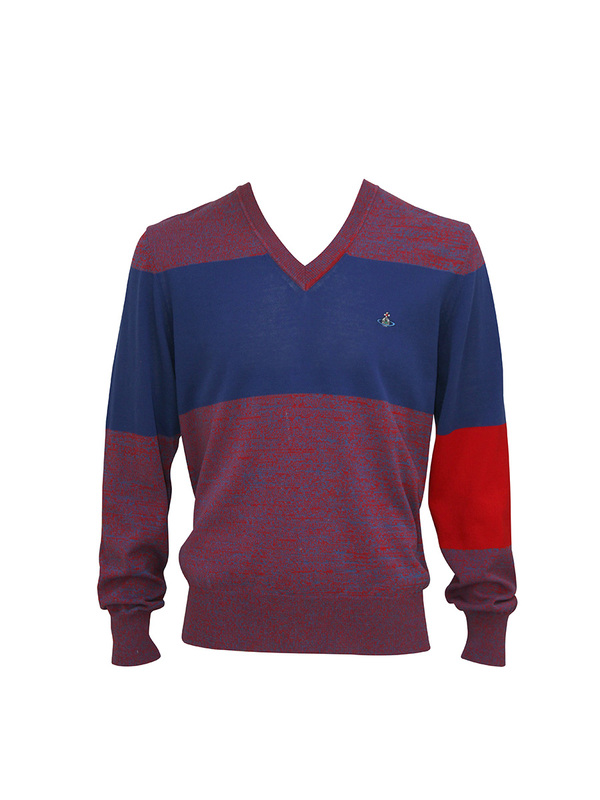 In shades of red and blue melange and woven from fine cotton, Vivienne Westwood presents the Vneck Colour Block knit. Tailored for a slim fit, accented with a colour block theme, the jumper is finished with the signature Orb embroidered upon the chest in metallic threads.